Whoever's styling them deserves a raise! You've probably heard of BLACKPINK, the girl group that climbed to the top of the charts with their latest hit, "DDU-DU DDU-DU." They also just happen to be the fastest girl group to reach 50M views on YT. NBD. As of writing, their MV has reached over 200M views, and they've done this without even dropping a full album yet! Did I mention they're also signed under the same label as Sandara Park during her 2NE1 days? Anne Curtis is a huge fan, too! Talk about girl group legend status! 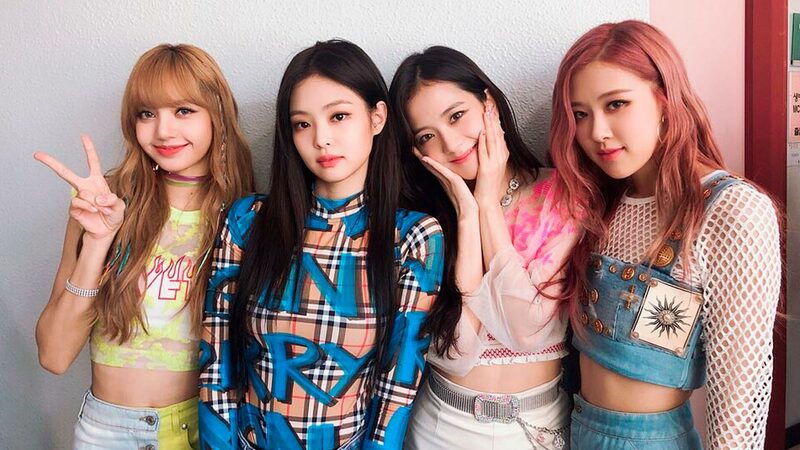 After dropping the "DDU-DU-DDU-DU" music video, the members each made individual Instagram accounts, and BLINKs—what BLACKPINK fans are called, ICYDK—worldwide pretty much cried tears of joy! Let's start with the group's main rapper, Jennie Kim. Apart from having flow fast enough to rival her sunbaenims in YG, she happens to be a Chanel girl too! See that crop top? Do you find yourself wanting one just like it, or is it just me? This is from a recent Inkigayo stage! This outfit kinda reminds me of old-school Madonna! She can work more casual looks just as effortlessly as she does designer! BRB, searching where I can get Adidas track pants just like this one. Can't you tell I'm a teeny tiny bit rapline biased? As BP's second rapper and main dancer, Thai kween Lisa definitely flaunts killer IG looks as well as Jennie does! Brb, currently crying over this flawless Scarface jacket. She def knows how to make unconventional pieces look chic! I wouldn't be caught dead in this much camo, but now it doesn't seem so bad. Here she is with a Louis Vuitton bucket hat and oversized tee! I guess Jennie isn't the only designer girl! If Jennie is to designer street style and Lisa is to out-of-the-box styling, then this vocalist looks stunning in high fashion looks. She proves that color-coordinating can be fashion forward too! I wish I could pose with a pillow and look this good, TBH. I admit, I can't really nail down Rosé's style—this girl looks good in pretty much everything! Wanna bet? Here she is looking stunning in a patterned long-sleeved dress! More patterns, just 'cause she can. Ruffles are difficult to style, you say? Not for this vocalist! You didn't think street style + slightly puffed sleeves were possible, but they are. My eyes are blessed and this look saved me. Most importantly, they look stunning as a group. You can't be part of the best-dressed girl group of this generation if you don't look great with your girls! We can't wait for the album, girls!